Ms. Strachan’s practice focuses on virtually all areas of commercial and residential real estate. Her practice includes representation of landlords, tenants, developers, investors, real estate investment trusts, franchisees, property management companies, and brokers. She handles all matters related to the ownership and operation of real estate projects including management, leasing, dispute resolution, development and construction for all types of residential, retail, office, industrial, hospitality and mixed-used projects. Ms. Strachan makes every effort to handle all matters is the most efficient way possible and is sensitive to time and costs concerns of all her clients. The Commercial Leasing practice handles all aspects of structuring and negotiating retail office and industrial leasing transactions. Ms. Strachan advises clients on all components of commercial real estate transactions and represents developers, owners, and equity investors in acquiring, developing, leasing, and disposing of real estate. Ms. Strachan also has experience in business entity formation, homeowners’ association formation and governance, and general corporate and contract matters. Ms. Strachan has extensive experience in negotiating and documenting space leases, PAD leases and build-to-suit leases, as well as operational and management agreements. Ms. Strachan represents some of the most premiere commercial and residential property management companies in the State, many of which have a national presence. 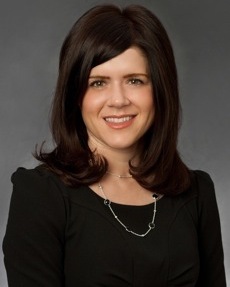 As an experienced litigator, Ms. Strachan routinely handles matters involving enforcing lease terms, collecting past due rents and other payment obligations, and recovering possession of leased premises for the owners of retail, office, mixed-used, and conventional, as well as affordable, residential projects. Ms. Strachan's long history of representing property management companies has also made her apt to assisting clients in responding to potential areas of risk and establishing effective protections and responses to minimize liability. Represent several of Maryland’s premiere property management companies in all matters relating to managing residential and commercial properties in Maryland. Represents a large, publicly held real estate investment trust in all of its local litigation matters. Represent multiple restaurateurs throughout Baltimore City and the State, including all aspects of lease negotiation and all related transactions. Represent a large grocery chain in drafting and negotiating multiple pad site leases for several commercial properties that they own. Represent numerous franchisees with dozens of locations throughout the country and in Maryland, including all aspects of lease negotiations and related transactions. Ms. Strachan attended college at the University of the South, where she was the recipient of the Robert Lancaster Academic Scholarship. She graduated in 1997 with a Bachelor of Arts in Political Science. After graduation, she was awarded a Tonya Internship Grant which enabled her to work for the American Society for International Law. She graduated from the University of Maryland School of Law in 2000, where she was a member of Phi Delta Phi, a legal honors society.